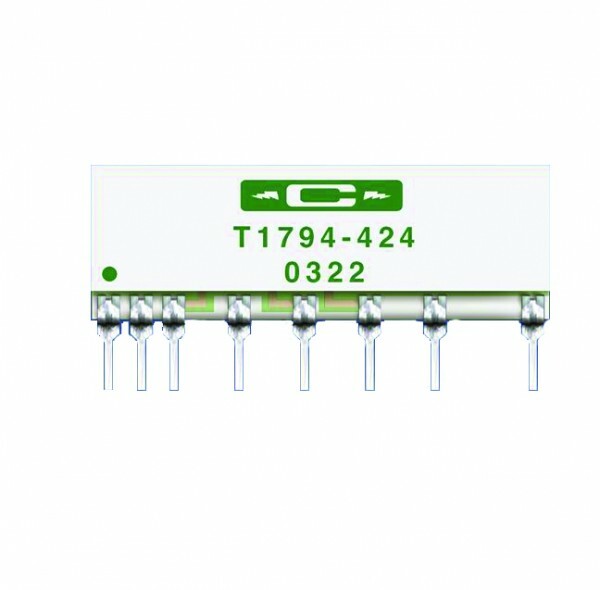 Product information "T1794 Precision Resistor Networks"
The exceptional design flexiblity provided by the Type T1794 Custom Low TC Precision SIP Resistor Networks gives each circuit designer the freedom to choose the precise combination of specifications required to optimize both the performance and the price of custom precision and ultra-precision resistor networks. Applications include: Voltage Divider and Amplifier Gain-Setting Networks, Differential Input and Attenuator Networks, or Current-to-Voltage Converter Sense Networks. Resistance Values: from 500 ohms to as high as 50 Megohms. Absolute Tolerances: ±1.0%, ±0.50%, ±0.25%, ±0.20%, ±0.10%, ±0.05%, or ±0.025%. Absolute Temperature Coefficient: 50 ppm/°C, 25 ppm/°C, or 15 ppm/°C from -40°C to +85°C. Ratio Temperature Coefficient: 50 ppm/°C, 25 ppm/°C, 10 ppm/°C, or 5 ppm/°C from -40°C to +85°C. Ratio-of-Ratios: as required, to as close as 0.025%. Related links to "T1794 Precision Resistor Networks"
Customer evaluation for "T1794 Precision Resistor Networks"